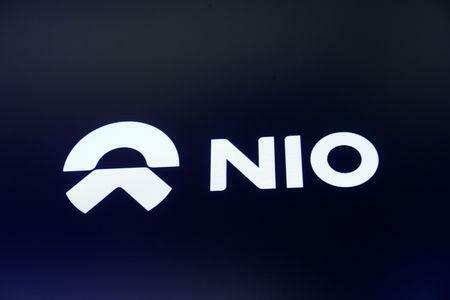 (Reuters) - Shares of Chinese electric carmaker NIO Inc <NIO.N> recovered sharply from a 15 percent fall in their market debut on Wednesday, a day after the company's IPO was priced at the lower end of the expected range. 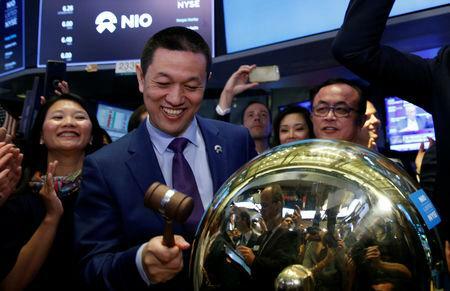 The rebound in shares was a welcome relief for NIO, whose offering came under pressure as investors have turned wary about electric carmakers due to struggles at its chief rival Tesla Inc <TSLA.O>. Investors have worried about Tesla's cash-burn rate as the company struggles to meet its production targets amid its efforts to become a mass-market automaker. 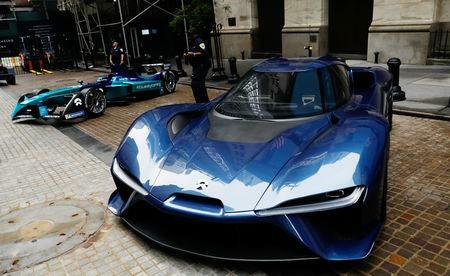 NIO, formerly known as NextEV and backed by Chinese tech heavyweight Tencent Holdings Ltd <0700.HK>, is one of several largely Chinese-funded EV startups betting on the benefits of local production to compete with firms such as Tesla. Several EV makers such as WM Motor Technology Co and Xpeng Motor have also raised funds from heavyweight investors including tech giants Alibaba Group Holding Ltd <BABA.N>, Baidu Inc <BIDU.O> and Tencent.